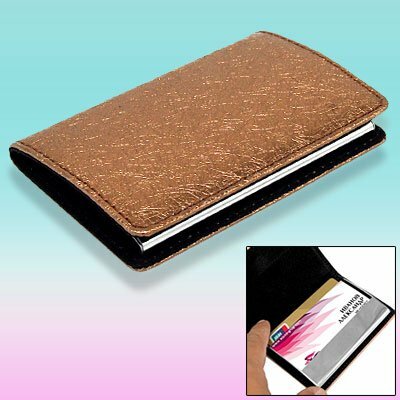 * Keep your cards clean and unbent in this stylish Brown Business Card Case. * It can be used to carry cash or credit cards as well. * Magnetic cover secures all content inside of the Credit Card Holder. * It features faux leather surface, fabric lining, and inner metal holder. * Fits comfortably in your pocket, purse or bag.